NOTE BY NANCY: Mike Quinsey—channel for SaLuSa—use to channel St. Germain. Since Mike recommends this channeling by Meline Lafont, I am posting his message, even though I am not familiar with Meline. Normally, I follow a channel for a period of time before posting their work. I was following Mike’s channeling years ago when he channeled St. Germain and trust his recommendation. M: Can you give me some insights as to your Trust Fund and Nesara? Are these for real and is the World Trust Fund a part of Nesara? SG: Of course, you may inquire about those issues and it will be my pleasure to reply. The World Trust Fund is something that is, albeit it slowly, emerging on your current world. It has to do with returning to Humanity, as a kind of recompensation of the funds that have ever been taken from them but which were rightfully theirs. This Trust Fund has been established under my supervision and will remain solely under my supervision as long as the funds haven’t been released. I will be the one who will make the decisions in this regard and I wil decide when it will all come to pass. This ‘when’ has been a long time coming; there have been resistances and difficulties along the way, but I always considered the life and freedom of every soul as my top priority. First I had to be sure that everything and everyone remained unharmed and that they get the chance to experience a beneficial payment of that fund. This fund is not a fairy tale but a fact: the fund contains gold of immeasurable value which rightfully belongs to humanity. Once all greed and sources of evil have been fully removed, it will be safe again to return these funds to their rightful owners: the whole of humanity. I will decide on the subject when this will happen: I cannot determine in advance when exactly this will be, all I can say is that it will be determined in a mere second of your time. This time must be exactly right and the possibility is now increasingly becoming a probability as the sources of evil and the dark forces are as good as eradicated now. All in all there is a lot at stake and your safety is my top priority in this moment! Rest assured and have faith: you will certainly have the experience of this in these times of your incarnation. We have moved very close now to a breakthrough of NESARA. By the way, NESARA is far more than just the World Trust Fund which in itself is only a part of NESARA. In general, NESARA is the freedom of humanity, the rediscovery of yourself, of your abilities, of your perceptions and of your connections with your Galactic Self and your family, which in itself has to do with Disclosure, NESARA also refers to having faith in yourself and in each other, in the perfect society in Love and Harmony. NESARA also implies a more refined and Higher Technology and a broader scale of scientific and spiritual knowledge. All this and more pertains to NESARA and it is the birthright of every human being! Hence my presence alongside you and the reason why I return it all to humanity. This is also a global process for which I have worked for a very long time: many steps have gone awry in the past but with the removal of the most hazardous darkness, the way shall be cleared for this. I do not give any dates nor even a timeframe but let me ascertain you that it all draws nearer and that the first steps of this process have already been taken. President Obama plays a major role in this and with each passing day he gets more power to bring these issues to fruition. You have to confide in this president as he is the one that might get the job done, he works tirelessly to bring it forward; he is my ally in the matter of NESARA and in so much more and he knows all too well what is in store for him. The last hidden veils have to be removed now before the playing field can be leveled, in consultation with the Collective of Humanity and than a big hope will well up in your hearts. Humanity is doing a great job of cleaning up the redundant rubbish, the latter referring to the personal, as well as the old collective patterns and even in these issues I ask you to give it time : you are actively involved in this and the finishing line of this is in sight. I am fully aware that you had to wait a long time for this : but rest assured that I pursue the same goals as your hearts do ; but I also take you into account and that is why I have to be absolutely certain that the collective hearts are co-creating this in all safety and in all freedom. This freedom has now begun and gradually will take on its own forms, so you may absolutely expect the breaking through of NESARA and that part known as the World Trust Fund will also get its turn. However, I must insist that you let go of all timeframes in this regards and to release all expectations because that attitude can counteract my efforts when every soul independently places his/her own manifestations and expectations of a possible timeframe on this! This can only lead to differences and setbacks. Only create in the NOW, without expectation and just BE and feel Love. I put my whole Being into this project as I love you all so very much and I so long to see your hearts fully liberated… This too is my goal and my mission to which I gladly give my soul. 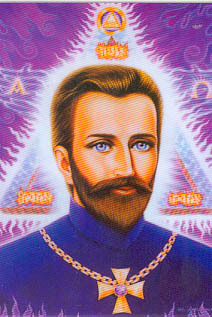 So trust me completely: Saint Germain knows what he is doing for the well-being of all of you! Feel free to give your support to me for this whole project by being faithful and remaining positive, keeping in mind that you assist me by letting go and by being and experiencing yourself in each NOW moment. It is just a matter of simply being and releasing. It will come to pass and when you take afore-mentioned advice to heart you assist me greatly. A word of warning as to the so-called ‘Pre-Nesara funds’ as there is no such thing as an application in advance and certainly not by means of filling in a form which requests you hand over all your personal data. By filling in that form you put yourself in a vulnerable, weak position by putting your cards on the table for the dark ones to see. Such things do not pertain to my NESARA: it is a misleading project! So be extremely cautious! NESARA will come to pass for every individual on the exact same time: there are no favourites and you are not required to introduce yourself. We know all too well who you are in your Presences and everyone will receive their rightful part in all freedom and this will be so for all of you and only through me! I am the supervisor of the NESARA project and I guard it wholeheartedly. Take good care of each other and be present on Earth in your Light and in your Love; form the necessary groups, take the necessary steps and get on with your mission! With much Love I greet you all.